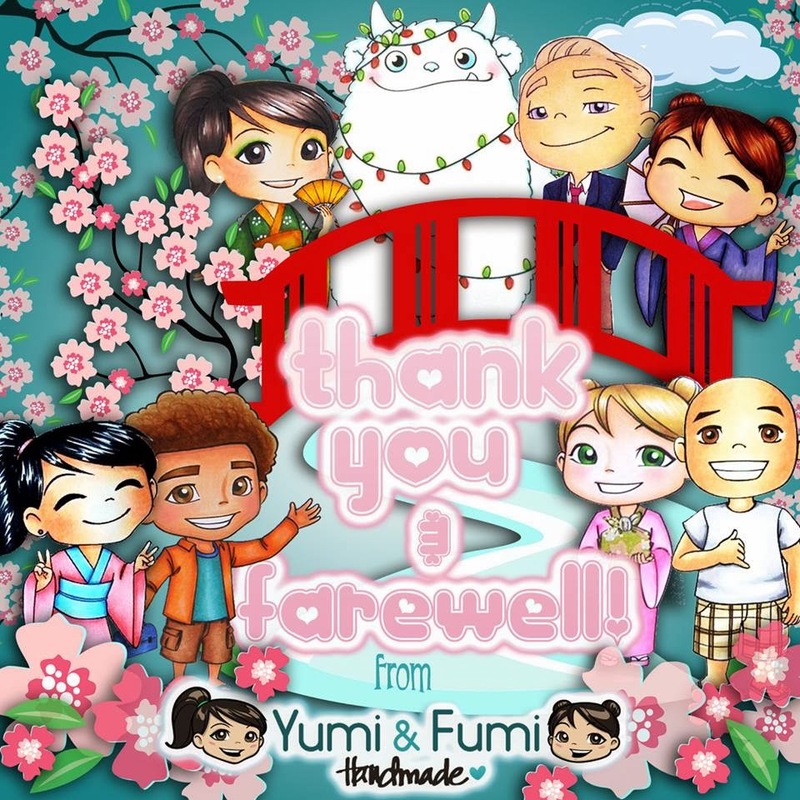 I don't know if you heard, but one of my favourite stamp companies (Yumi and Fumi Handmade) is going on hiatus. The store has already closed down and there will not be any new challenges til further notice. You can read all the details here. I joined Yumi and Fumi Handmade DT last year and I loved every single minute of it. I got to work with a bunch of super talented ladies and I made some wonderful friends along the way. It was an experience I wouldn't trade for anything. I am so sad to read this, sweetie!! You make the cutest & sweetest cards w/ their images.